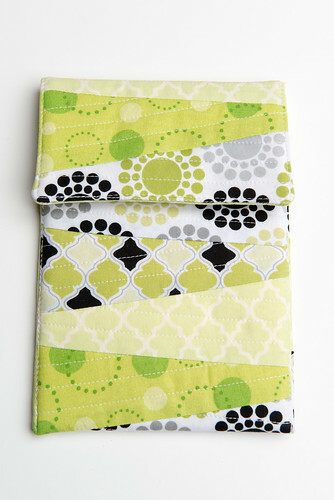 I made yet another kindle case for a Christmas gift (I made three last Christmas). This time it was for my mother in law and I wanted to do a little quilting on it. Before I started it, Rachael from Imagine Gnats posted a stocking tutorial. 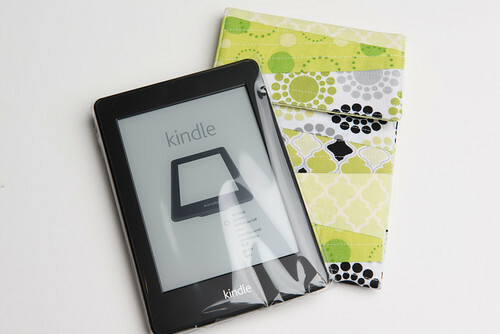 I love the way that she angled the fabric and did the quilting so I thought I would try it out for the kindle case. 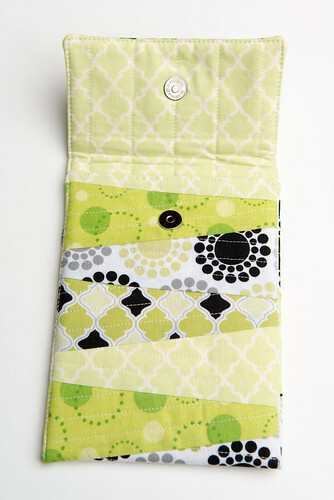 It turned out super cute, but is a little snug for the kindle. So if you decide to try it out, add another half an inch to the width measurement (calculations for your specific device can be found here). The reason this needs to be done is because you can’t cut away the batting very easily. 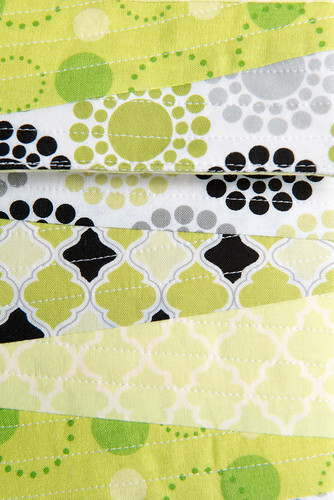 The extra bulk takes away from the width, which therefore doesn’t leave any extra room. I based my piece off of the one that Rachael used for the stocking tutorial (picture found after step 5). My final pieces needed to be 18 x 6. I cut my batting to the exact measurement, but made my pattern piece wider since each piece is angled slightly. The piece was 6 1/2” wide, one side was 2 1/2” and the other was 1”. In order to make the pattern piece, I cut out a rectangle 2 1/2” x 6 1/2”. I then measured down 3/4” on one of the 2 1/2” sides. From that point, I made a line to the corner across from it. I then measured up 3/4” on the same side, and made a line across to the other corner. This made a piece that looked just like the one in Rachael’s tutorial, except on the scale that I needed for the kindle case. I then followed Rachael’s directions until the outside piece was quilted. Once that was complete, I trimmed it down to the size of the batting piece and followed the rest of my directions from the tutorial. This was harder to sew together because of so many layers, but I managed and it looked pretty good.